Lamborghini Hurácan: Will It Debut This Week? The Lamborghini Huracán might be the replacement for the beloved but aging Gallardo. Or it might be the Lamborghini Cabrera. Either way, we suspect it could this week. 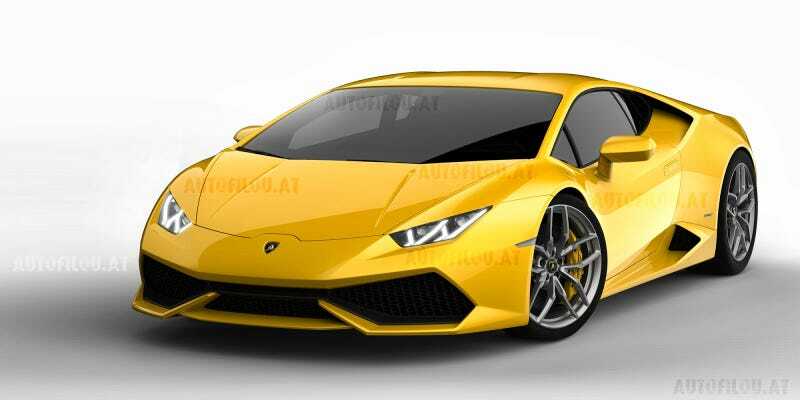 Will The Lamborghini Gallardo Replacement Be Called The Huracán? We're guessing Lamborghini will show something in the next few days based on information we've gleaned from sourced and, with all the posts of renders purporting to be photos of something called the Hurácan being posted that might be a safe bet. Anyone know anything? Drop us a line in the comments.